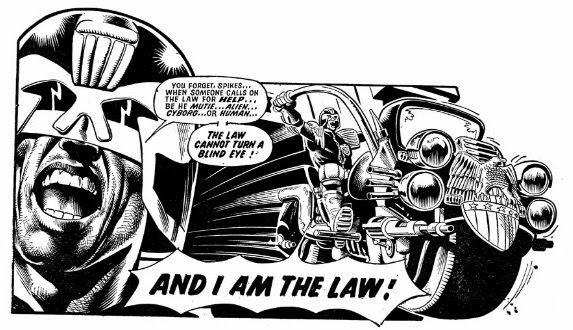 Let’s bust into this week with Joe Dredd roaring his Lawmaster through the page. 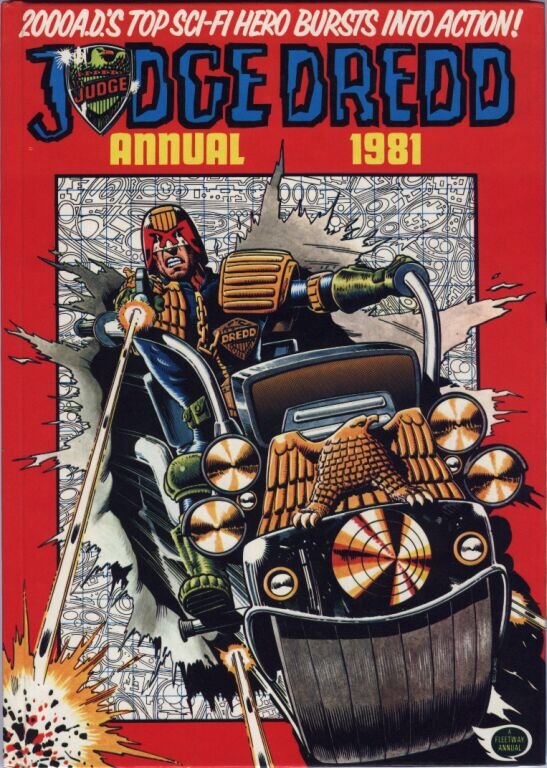 Classic Brian Bolland artwork that has never been bettered. 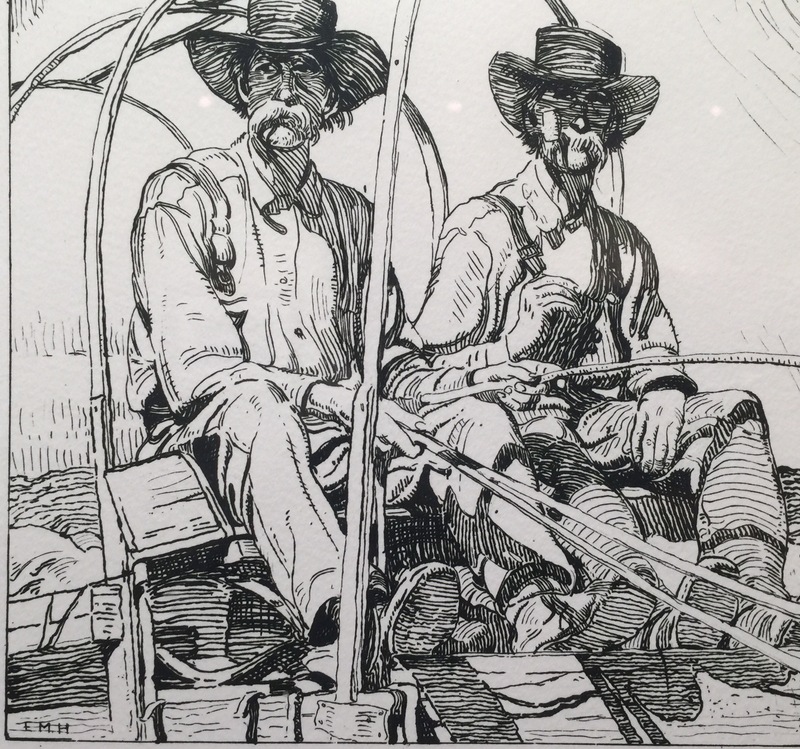 We’re in New Mexico for a few days so here’s an image that has an echo of the past… A pair of old wagon train codgers captured in an old ink etching on display at the art museum in Taos. I love line work as fluid and expressive as this. The picture say it all! 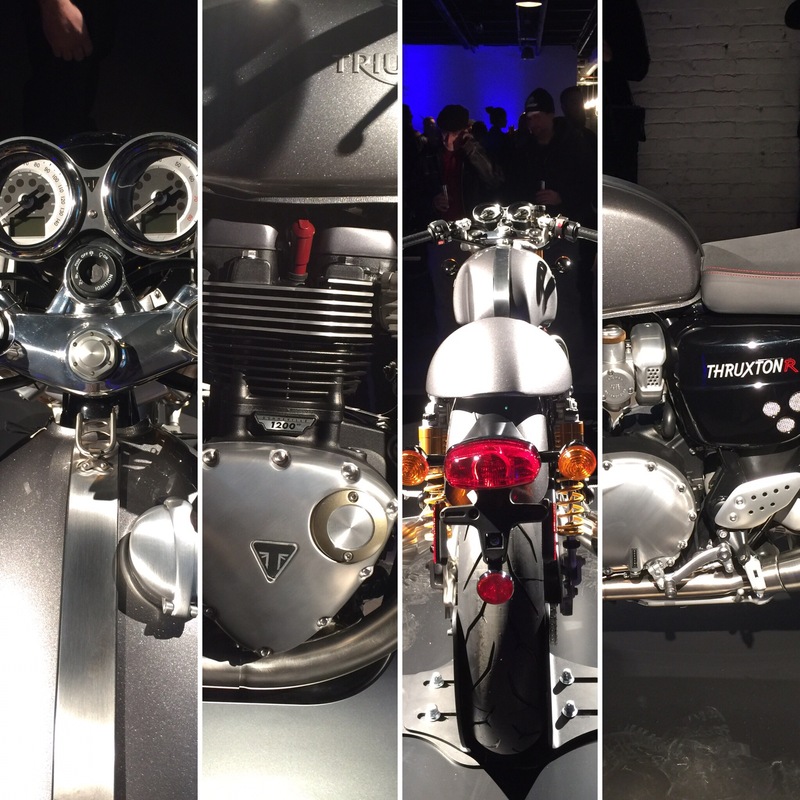 This new bike is an absolute gem to behold. Enjoy the details. 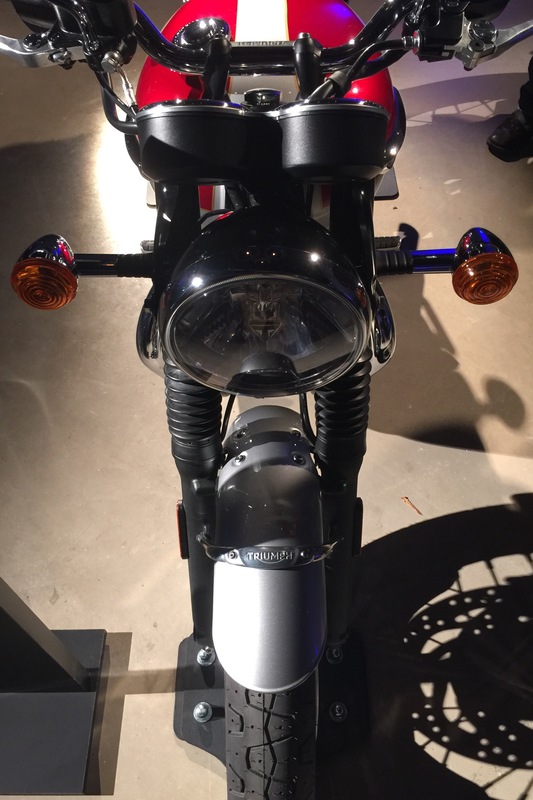 This is the centerpiece of the show: T120R Bonneville. 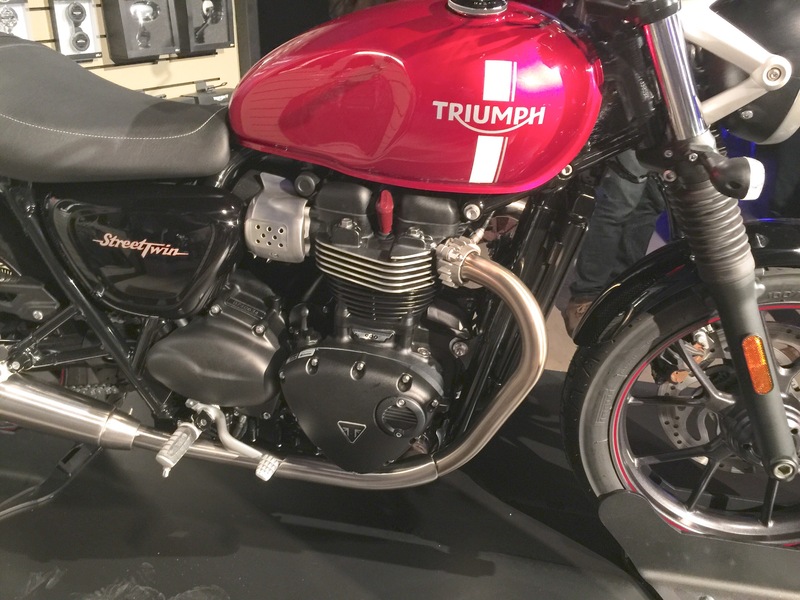 It’s exciting, nimble looking, beautifully executed and is a visual clone to the sublime ’68 Bonnie. 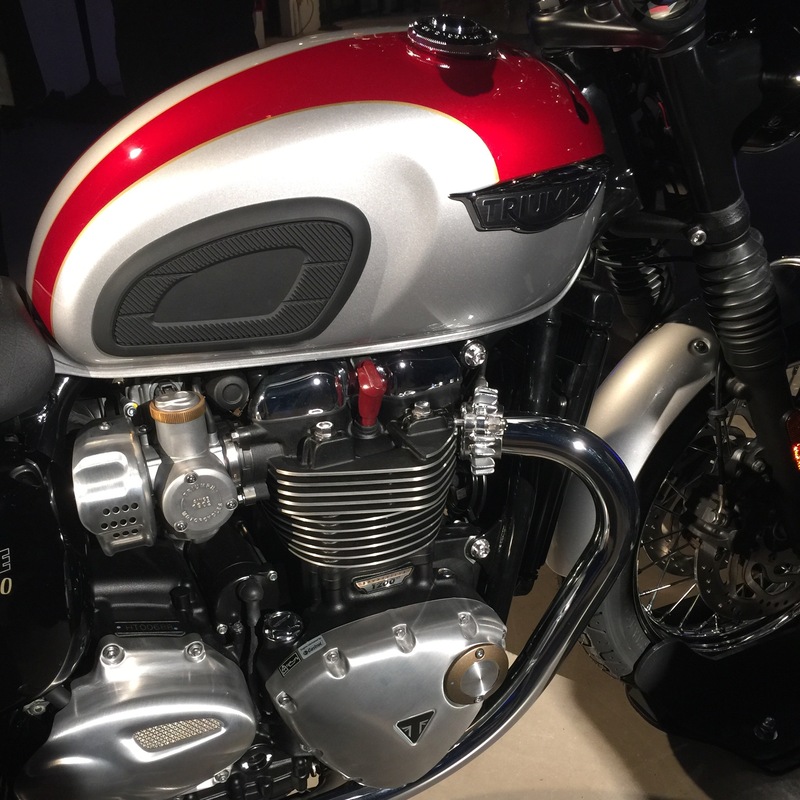 From a narrow corseted waist that you experience when sitting on, to the appearance of the engine with hints of Edward Turners original twin from the 30’s. Silver and crimson separated by a gold pinstripe. Knee pads to hug the tank when whittling along curvy roads. Fuel injected engine with a suite of mapping for different road conditions behind the Amal look alike Concentrics; just needs a tickler button. 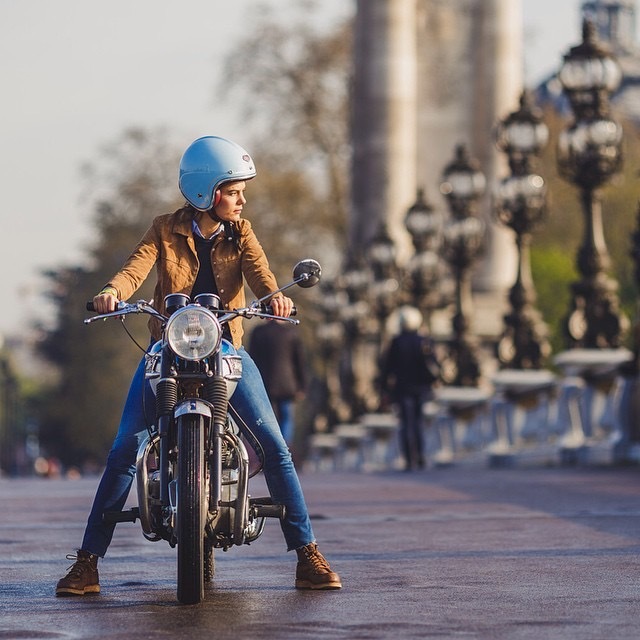 Named fender support fork brace, rubber bellow fork boots, twin clocks and a beautiful headlight offer a clean prow. Even from the rear the hourglass shape is evident. 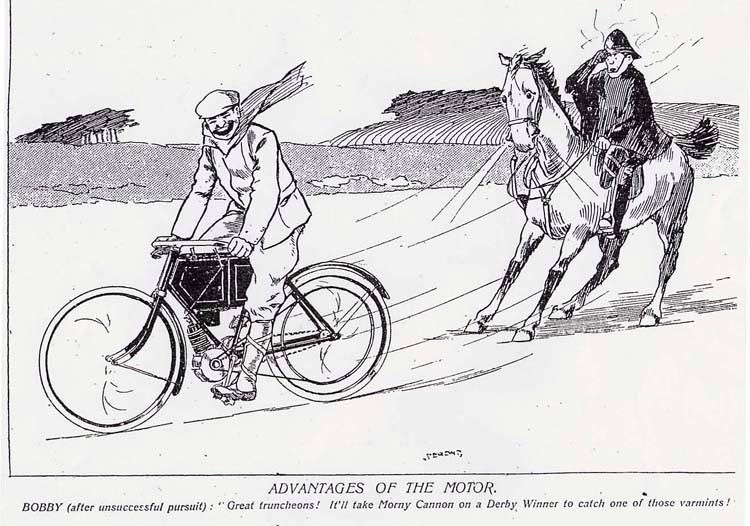 A generous pillion loop allows two-up fun; hopefully a lively 1200cc motor will mean ease of passenger carrying. My name is Julius and I am your tvin brudder! 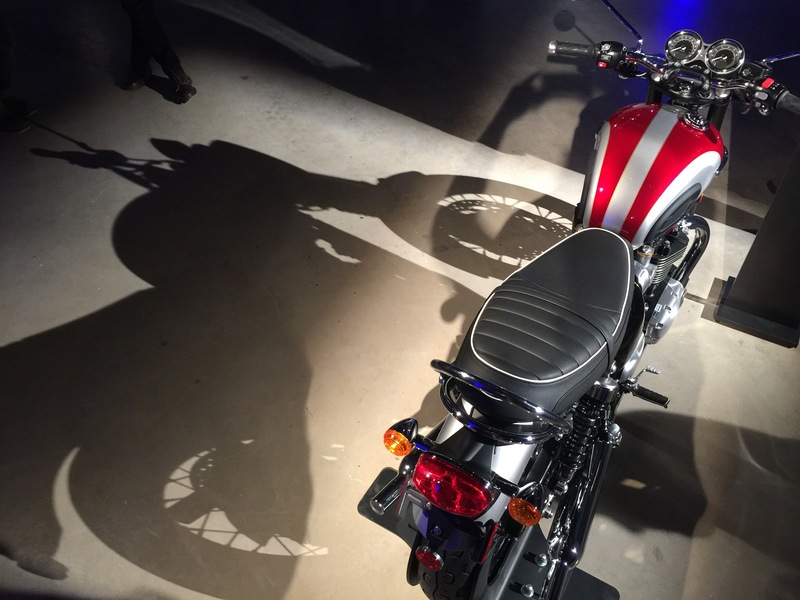 The new smaller sibling to the 1200cc Bonnie’s is the Street Twin. 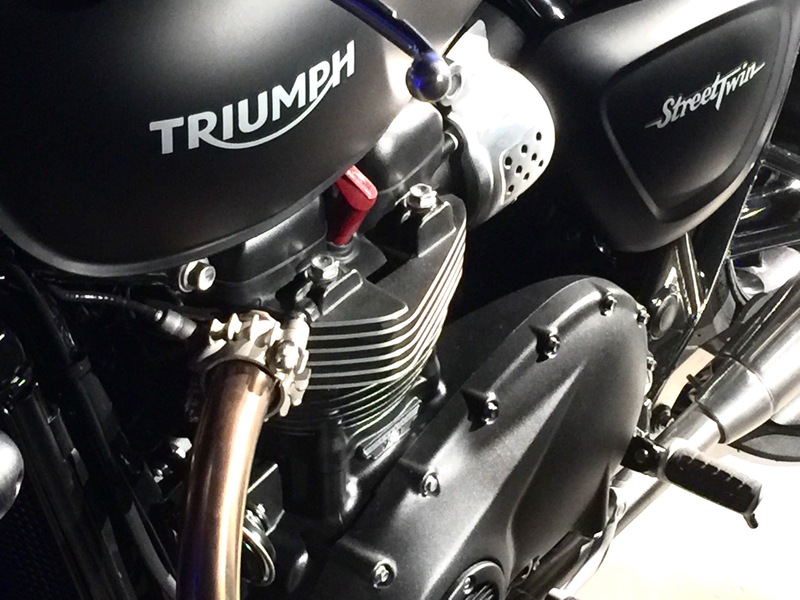 A 900cc model that will be supported by a hefty catalogue of customization parts to suit any hip rider. It should be a nimble tool for city zipping and backroad scratching alike. The black on black was subtle and the cherry bomb red cool too. 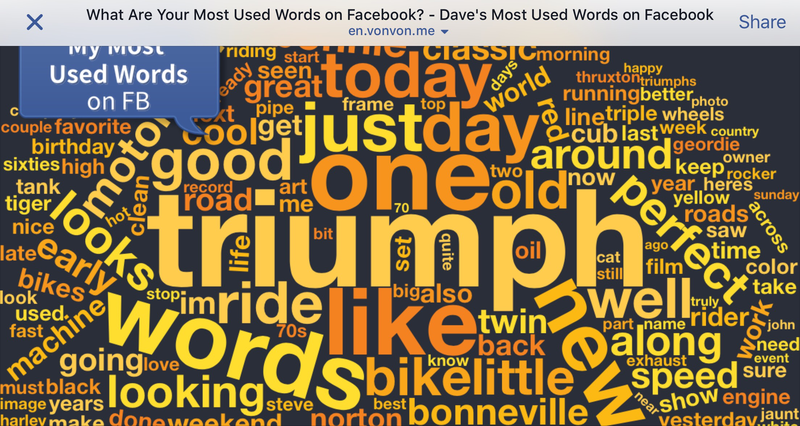 They should attract a new wave of Triumph owners! 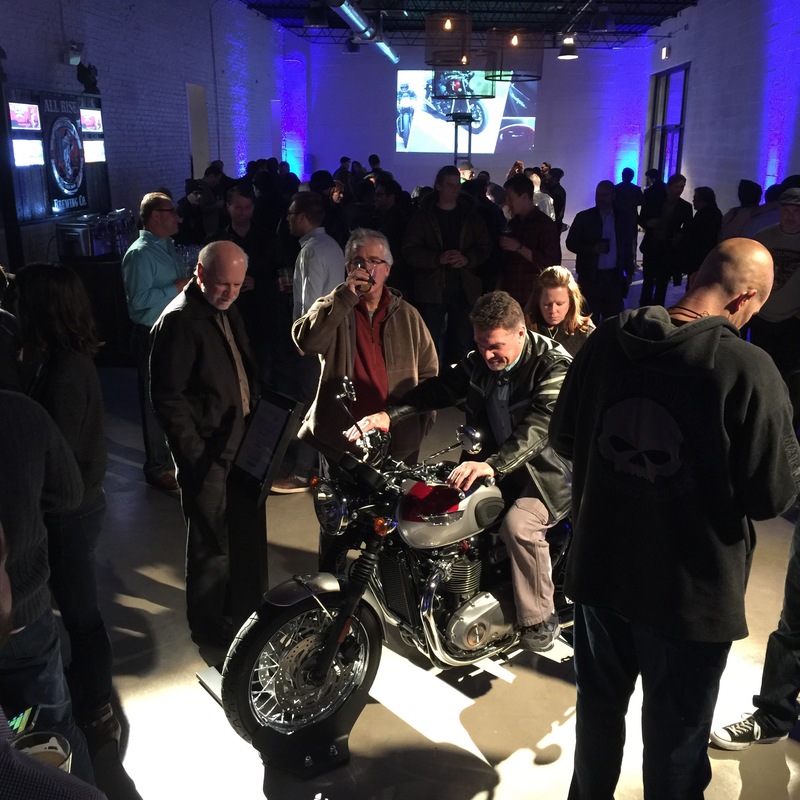 Early snowstorm blew a wintry atmosphere to the Bonneville launch event being held in the multipurpose space Revel on Fulton Market in the old meat packing district. 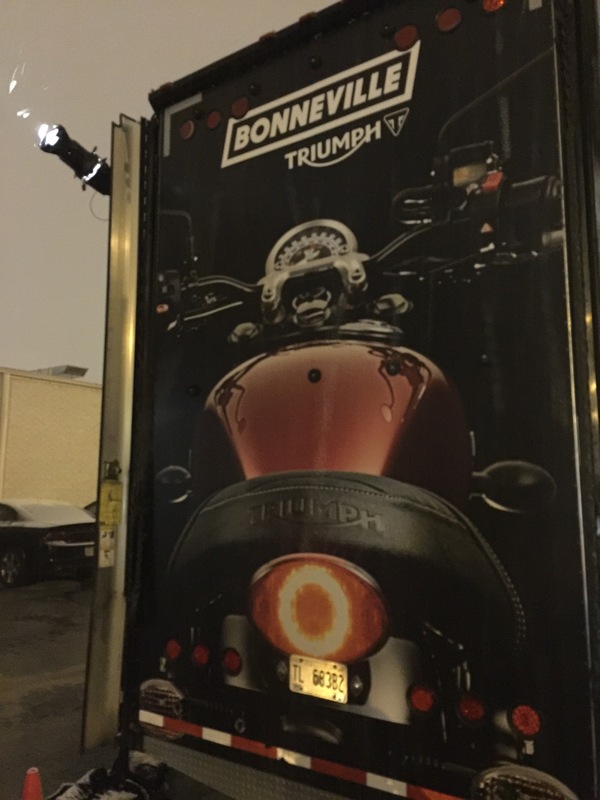 The big trailer on its first night of a countrywide tour displayed its ‘livestock’ across its broad side and rear. 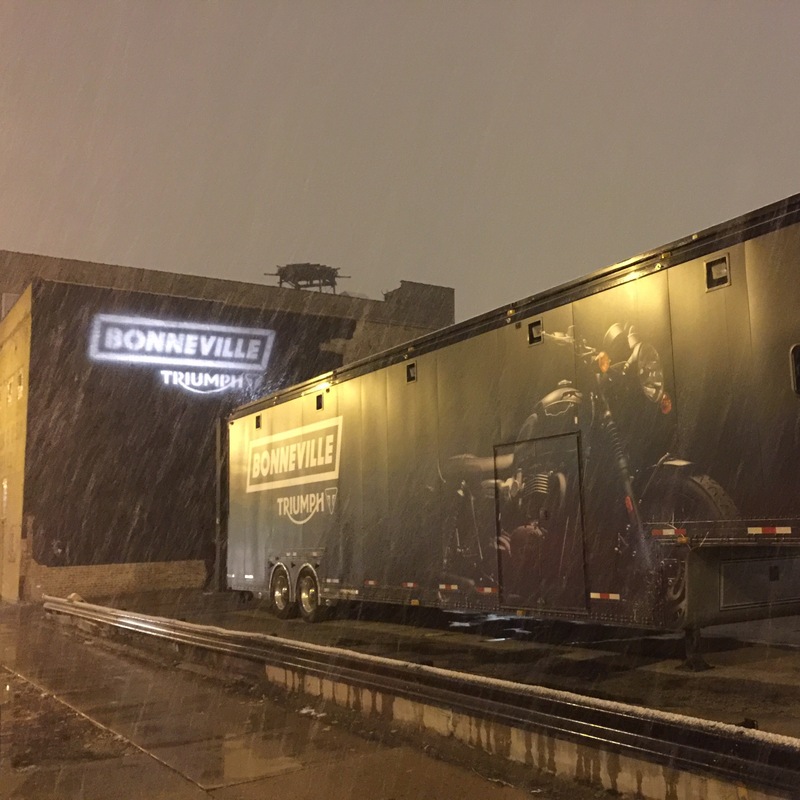 Bonneville Triumph projected through the sleet onto an adjacent building. Inside we were warmly welcomed with a ‘goody-bag’ of a seasonably appropriate wool hat, Bonneville embossed leather key fob, and a beer bottle foam holder. Local microbrew beers were on offer. 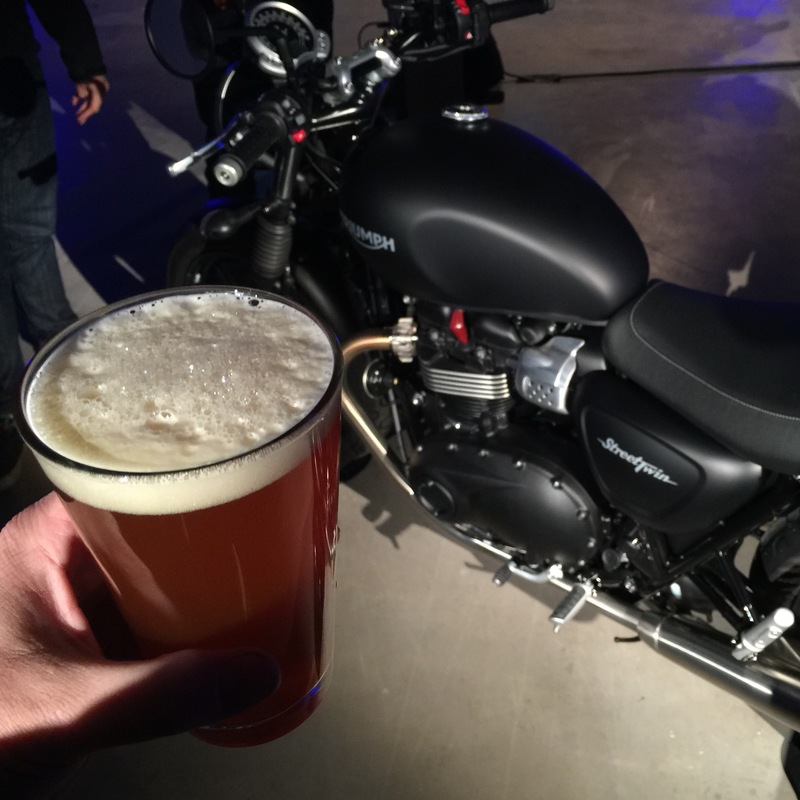 The amber IPA was perfect for wandering the rooms with like-minded bike fans. Music was deejayed and stylalized film showing the motos in action projected onto the walls between indigo spotlights. 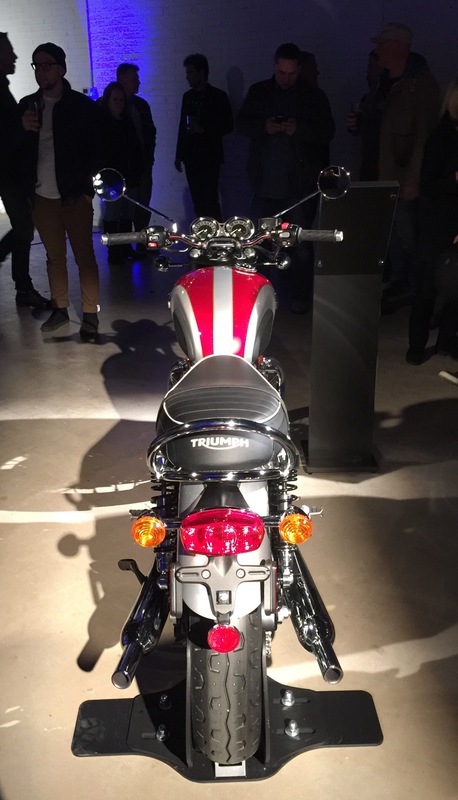 At the Triumph new model launch this evening under a snow bleaching sky I saw the outstanding design detail that has gone into these machines. 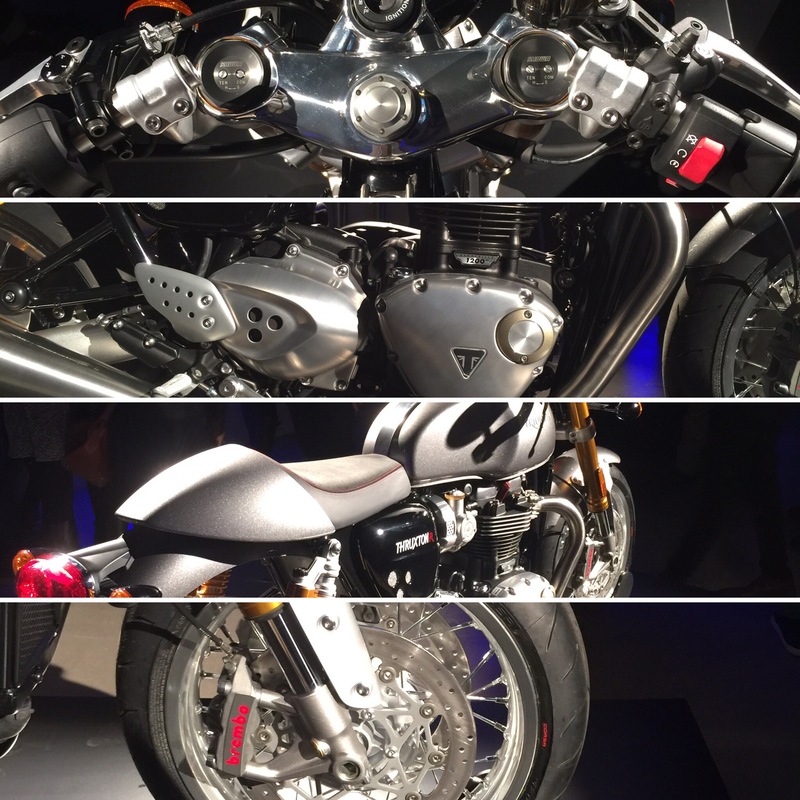 The Thruxton R was truly sublime. I want one! 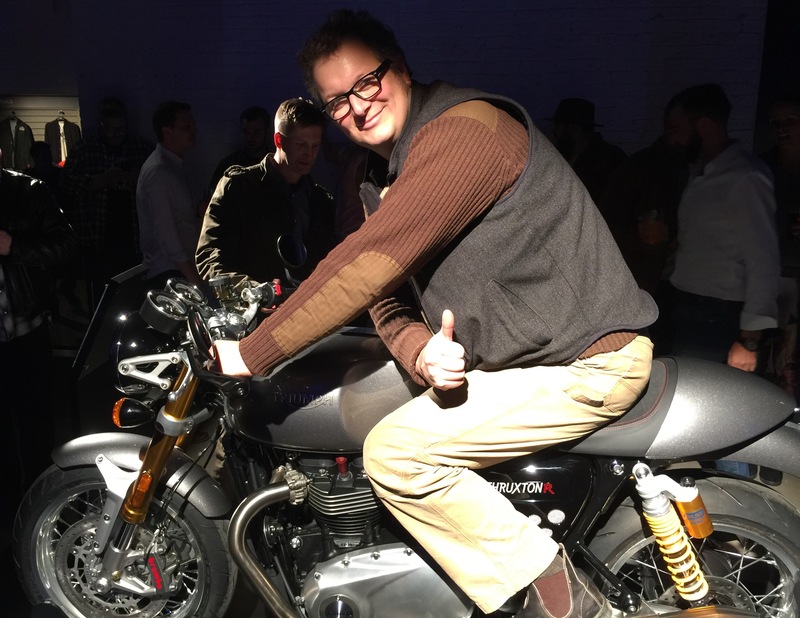 It fits me perfectly with exactly the same riding geometry as my ’72 Bonneville. 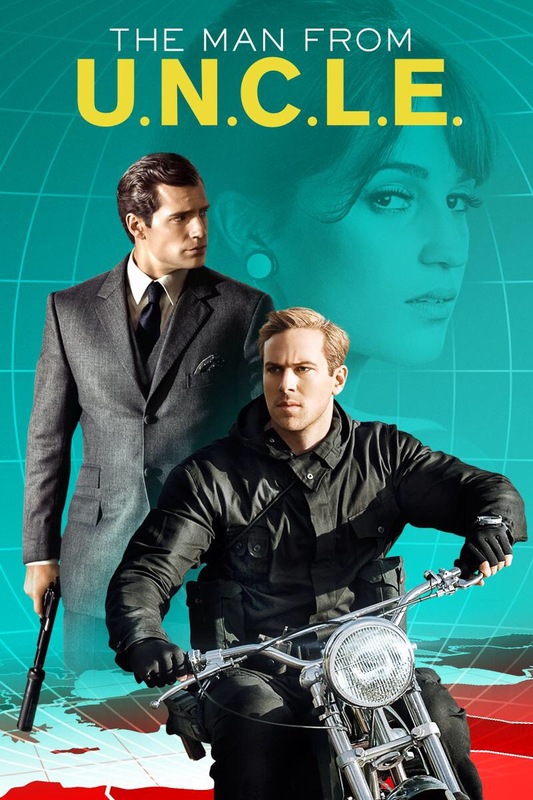 The latest redux is the classic spy duo Napoleon Solo and Illya Kuryakin. 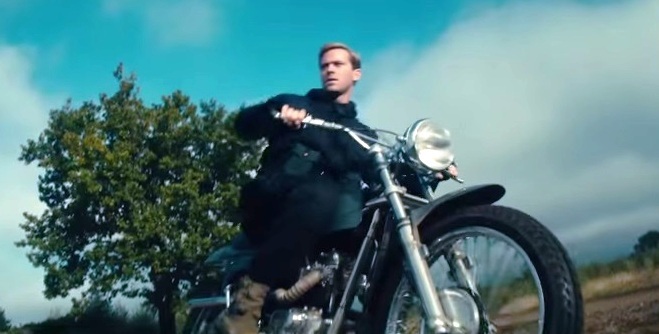 Starring John Cavell and Arme Hammer in the respective roles. 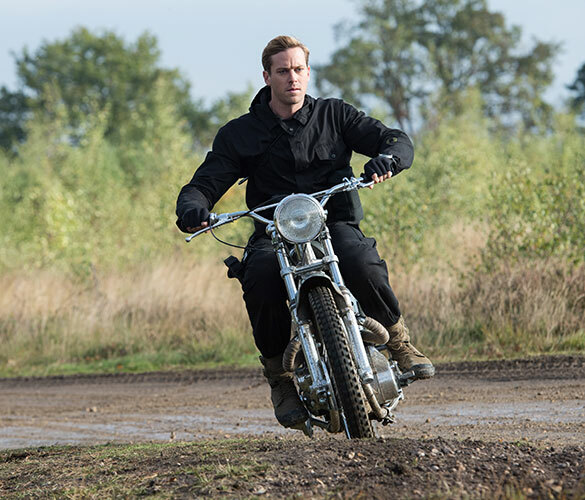 It looks like a Triumph is used to good effect by one of the protagonist’s. It turns out to be a beautifully made Metisse. 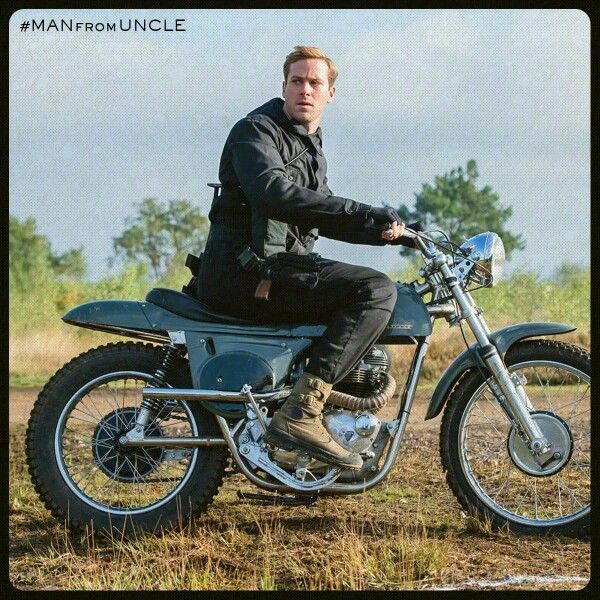 The Grey bodywork and chrome frame along with knobby tires are perfect. High and wide dirt bike bars with high exhaust pipes top it off. 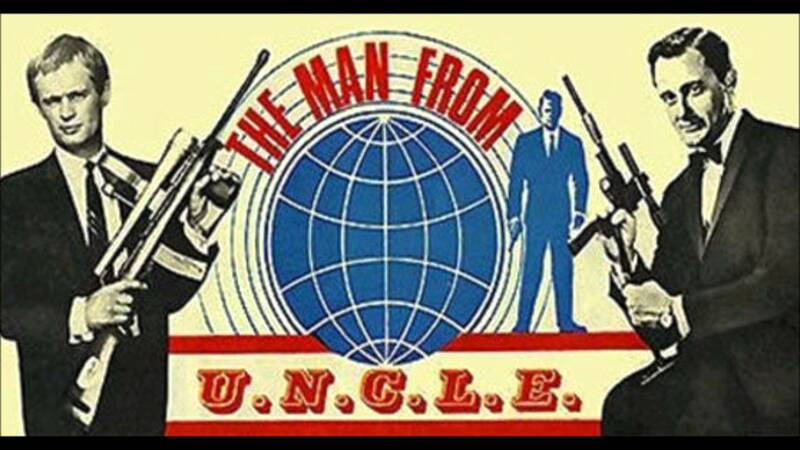 United Network Command for Law and Enforcement aka U.N.C.L.E. was one of my favorite shows growing up. McCallum and Vaughn were perfect in their roles. 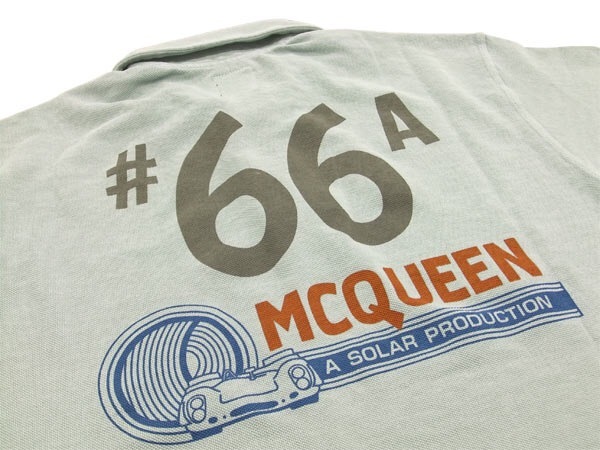 McQueens production company which backed films such as Les Mans as well as the documentary On Any Sunday. Clean graphic. 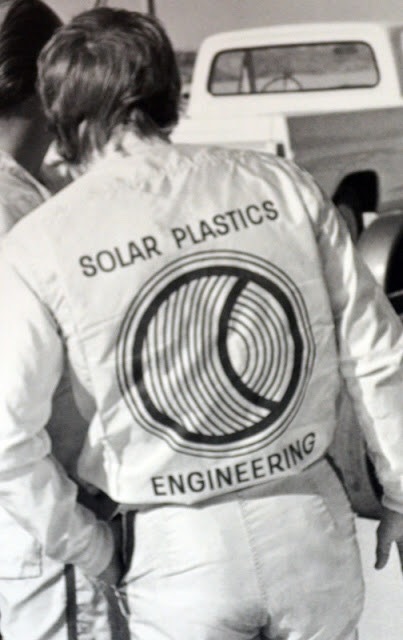 #66 was his Porsche 908/2 number he used on the disused airfield track in Holtville CA. 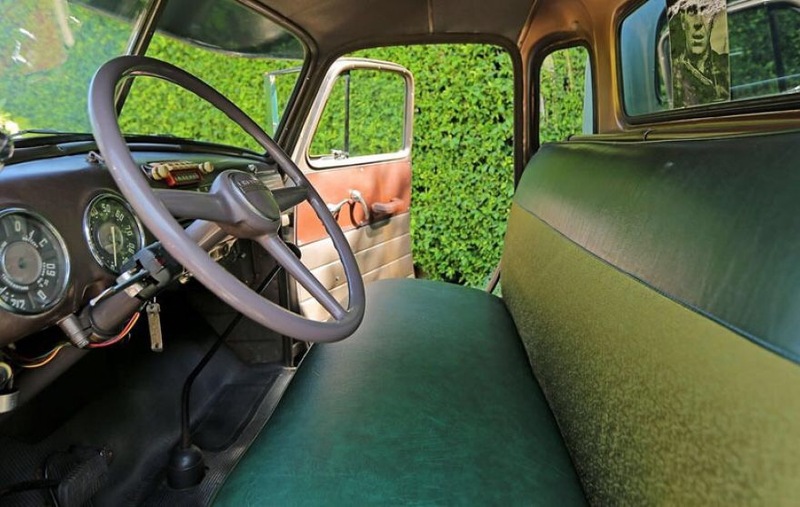 This bottle green Chevy truck with a custom aluminum camper sitting in its long bed was once owned by Steve McQueen. Towards the end of his life he used it to go cross country and see the USA from the road. Purchased from a migrant farmer the 1952 V6 engined 3800 was purchased from a migrant farmer from the side of the road. 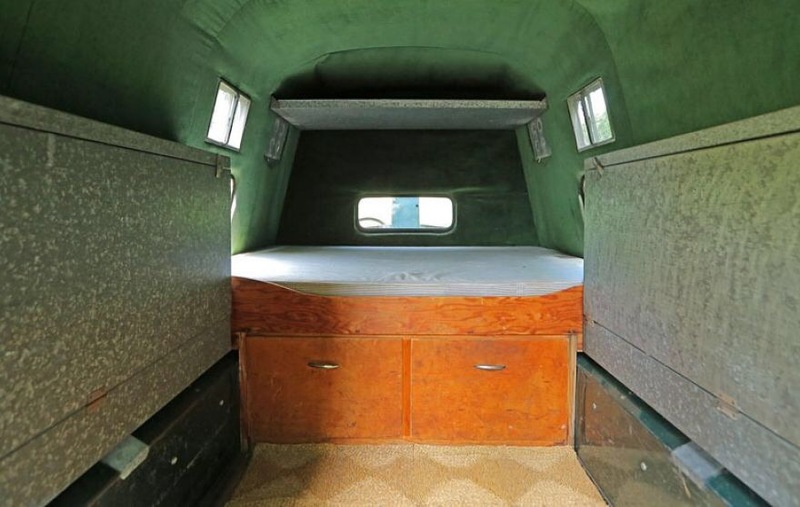 Big mattress, plenty of storage and a tent-like inner ceiling it would be the perfect thing to scour the back roads and lost towns of the continent. 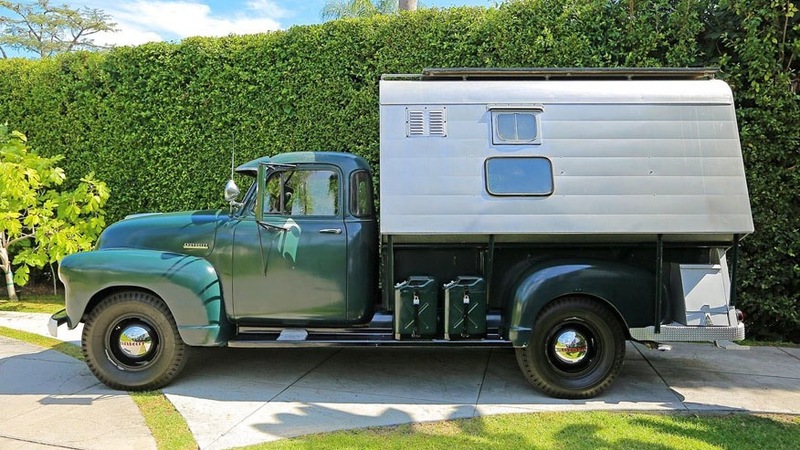 The camper unit is called a dust-tite and was built by Harold van Hoosen. 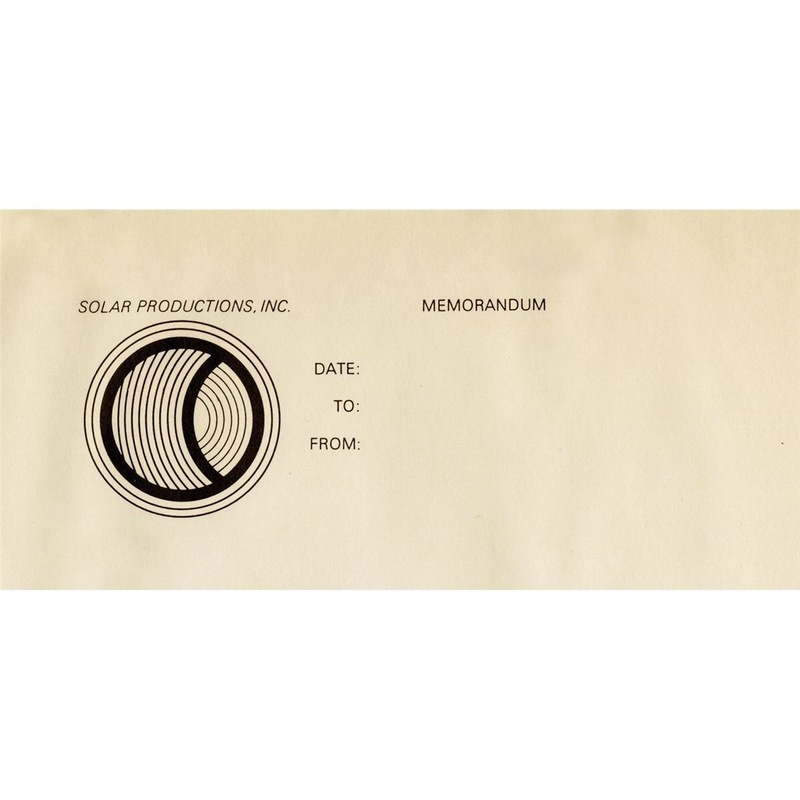 This was up for auction this year… Unsure if it sold but the anticipated price was $600-800k. About a year ago my wife and I were planning our great trip to the west coast. Riding two-up around and beyond the hilly streets of San Fransisco was one of the highlights. 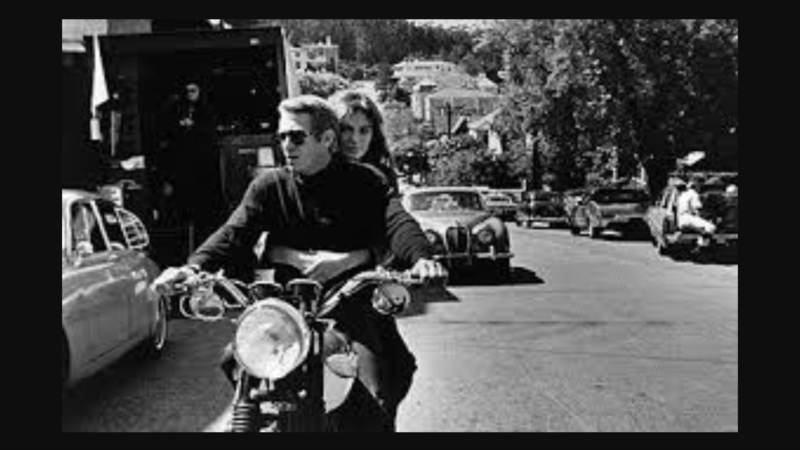 Not quite Steve & Jaqueline taking a break from filming Bullitt but close! Such a powerful image to our times. 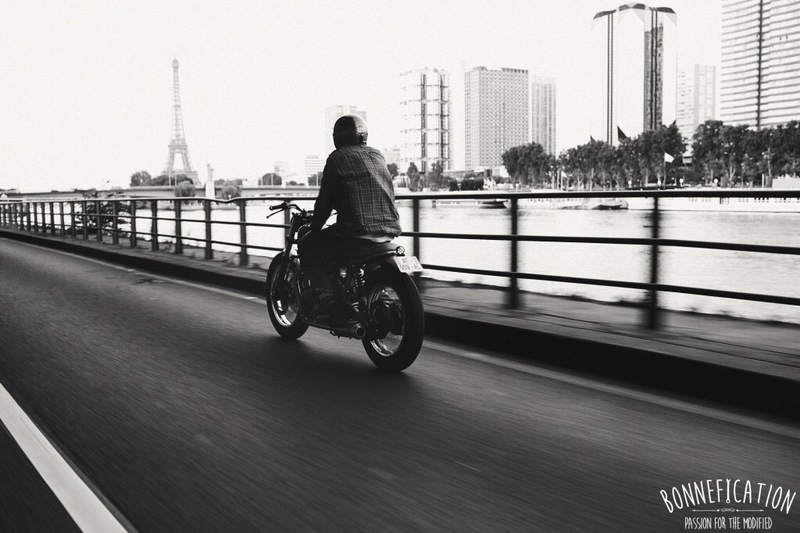 The freedom of a biker zooming through Paris. 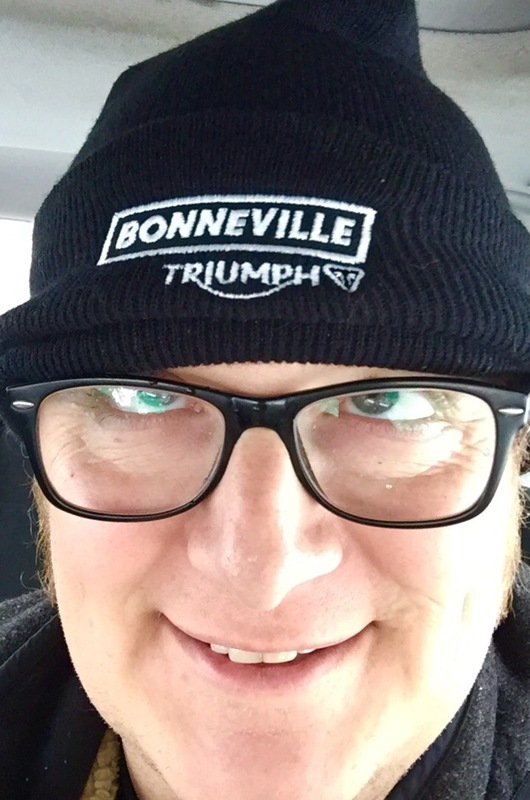 Acknowledgements to Bonnefication your one stop source for everything Triumph Bonneville (apart from Geordiebiker). Pont Alexandre III in Paris which crosses the Seine near the Champs-Élysées . It leads the eye up to the Arc de Triomphe.